Find the newest Mc Nulty Lofts condos for sale and the best real estate listings in Downtown St. Petersburg for viewing. Mc Nulty Lofts is the name of a sleek and streamlined residential complex located in the heart of beautiful and vibrant downtown St. Petersburg, Florida. People who wish to enjoy convenient, modern and breezy condominium lifestyles in the Gulf Coast city may want to learn more about this exciting option. For information about properties available at Mc Nulty Lofts in Downtown St. Pete or to schedule a private showing, contact your local Mc Nulty Lofts real estate experts today. Read more about McNulty Lofts. Interested in buying or selling a condominium in McNulty Lofts? Call DWELL Real Estate at (727)485-0144, your local real estate team. Your neighborhood McNulty Lofts real estate agents are here to help you navigate the ins and outs of the St. Petersburg McNulty Lofts housing market. 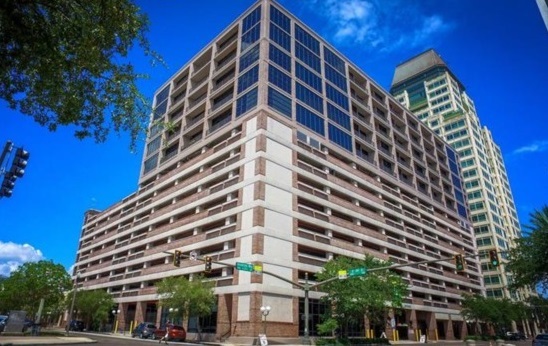 The 2nd Street building is merely minutes away from all that downtown St. Petersburg has to offer residents and visitors. If you want to be a short stroll away from a variety of coffee shops, dining establishments, supermarkets and movie theaters, McNulty Lofts can make all of your wishes come true. The complex also boasts a fantastic location for culture buffs. That's because it's just steps away from a handful of fascinating local museums. People who live at McNulty Lofts can easily revel in the beauty and charm of nature. These spacious and bright condominiums are just steps away from some of the city's most calming and welcoming waterfront parks. If you have a penchant for lush greenery and peace and quiet in general, you'll rapidly fall in love with this loft community. The building consists of a total of 85 condominiums. It's 165 feet tall and has charming and memorable brick accent walls. It also has visible spiral ductwork. Residents of McNulty Lofts can relish the comforts of ceilings that are 11'4" in height. They can also enjoy wood cabinets, sturdy granite countertops, durable concrete floors and large windows that go from the ceiling down to the floor. Other conveniences that are accessible to the people who live at McNulty Lofts include rooftop terraces, private garages and reliable alarm systems. The complex can also be great for people who don't want to have to worry about parking in busy downtown St. Petersburg. That's because it gives all residences access to a roomy and dependable garage. McNulty Lofts was constructed in 2006. It has a modern appearance that's fresh, cool and stylish. People who live in the building can take advantage of the finest amenities that are available these days. Residents who want to maintain optimal physical fitness can benefit significantly from life at McNulty Lofts. That's because the complex is home to an extensive on-site fitness center that's full of high-quality fitness equipment. It doesn't matter if you want to work on strength training or if you need to squeeze in a cardiovascular session. McNulty Loft's gym can accommodate all of your fitness needs to a T. The fitness center is on the first floor right next to the elevator. It, as a result, is easily accessible to all residents at all times. If you want to make the most out of life in dazzling St. Petersburg, McNulty Lofts may be a good fit for you. The residential structure is close to many of the things that make St. Petersburg so great. It's close to an abundance of art galleries, serene dog parks, scenic hiking destinations, thrilling recreational opportunities, nightclubs, quirky clothing boutiques, antique shops, health food markets, nightclubs and beyond. Planning to buy or sell a condo in McNulty Lofts? Let our local Downtown St. Petersburg real estate team guide you through the sale of your current McNulty Lofts condominium or purchase your next McNulty Lofts property. As McNulty Lofts real estate agents and experts, we're well-versed in the unique market dynamics of McNulty Lofts real estate. We're ready to work with you today! Contact DWELL Real Estate to learn more about representation for buyers and sellers. Preparing to sell your McNulty Lofts condo? View our comparative market analysis page to receive a free McNulty Lofts condominium value estimate analysis within moments.